Notification priorities can be changed by editing their scope in the Manage Priorities window. Please note that if you have lots of websites, to help remove confusion, you may receive grouped scope notifications. Netsparker Enterprise notifications are grouped by their Event type and then they are prioritized by Scope (what they relate to). 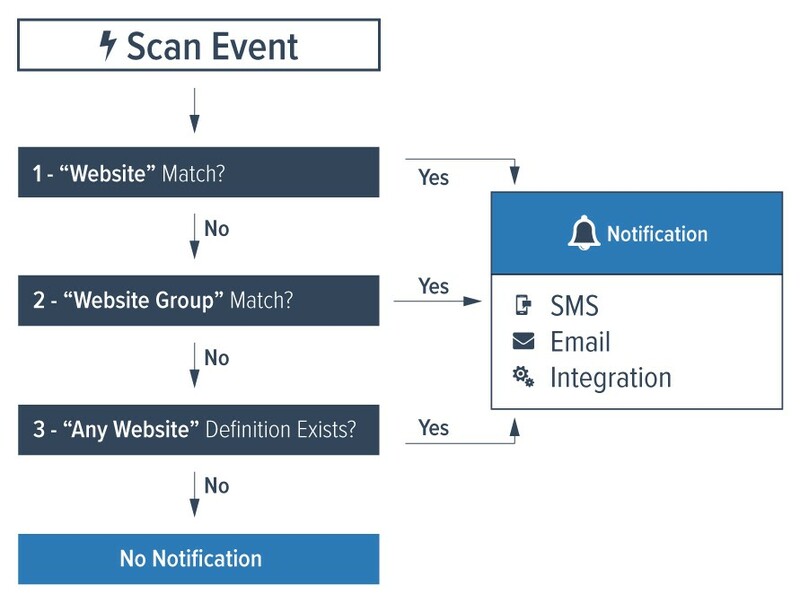 This means that when a new scan is started, Netsparker Enterprise checks all the notifications for the New Scan event in the above mentioned order. 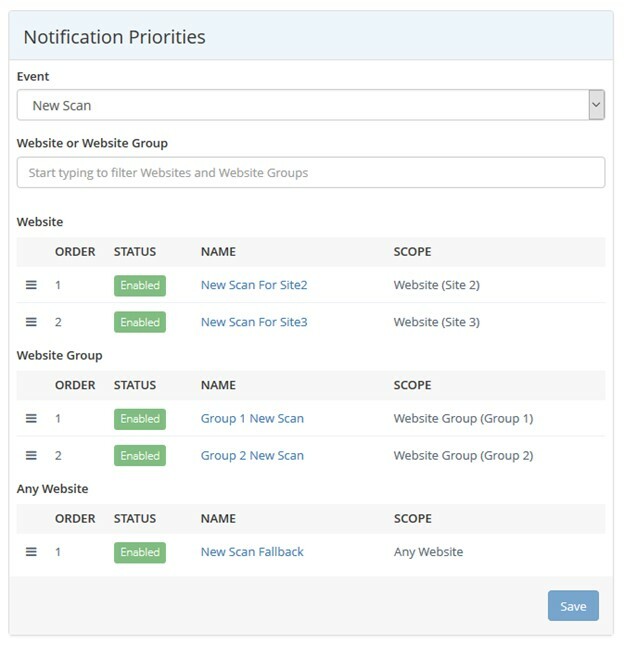 So if for example a website is listed in a New Scan single website scope and a New Scan website group scope notification, once the new scan starts, the single website scope notification is triggered first and the website group scope notification is ignored. Refer to the chart below for a graphical explanation of the scope’s priorities. From the main menu, select Notifications, then Manage Priorities. The Notification Priorities window is displayed. You can also filter the results. From the Website or Website Group dropdown, start typing, then select the default, or the name of a website or a website group. In this example, you can see all the notifications that are triggered during the New Scan event. Drag and drop any of the notifications to change their priority.